It’s all about rents. If rents are too high, small shops can’t afford to keep expensive stock that hardly anyone wants. That’s the way London has been going for at least 50 years. The amazing thing is that the process of interesting small shops being driven out isn’t yet complete. By the way not everybody dislikes Centre Point and it is of course Grade II listed, To me it now looks like some of the best architecture of its period, and the reflections from its west side can be a wonderful sight in a winter sunset. When it was built, any building that high in that location would have been vilified, just as the Shard is now by some, while others love it. 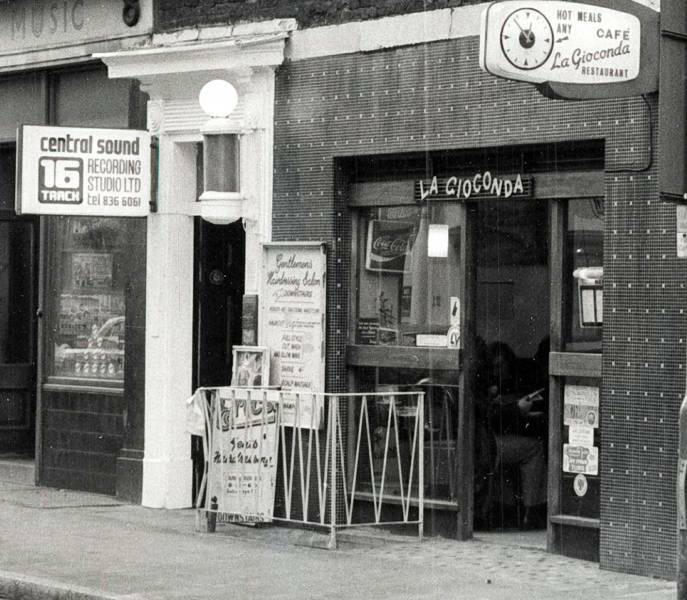 …And of course the café was La Giocond_a_ (now re-opened as an Italian restaurant). Excellent summary of the issues, if I may say so. I wonder how much we’ll come to regret Crossrail in years to come – or at least this particular station. So far all the attention has been on the impact of the Eastern Ticket Hall on St Giles and Tottenham Court Road itself Camden To Transform Tottenham Court Road Area, but with footfall through the station projected to exceed that of Heathrow Airport(! ), what will be the impact of the Western Ticket Hall (Dean St) on Soho? We all know Soho is currently undergoing rapid change as the ‘temporary’ post-war consents to the conversion into offices of war-damaged Soho housing stock continue to expire; but the real character of the area has long been held to be due to the fact that no transportation routes run through it. Will the Dean Street development change all that? Brian, who owns the Wunjo shops, is very firmly from Scotland. I spoke to him the other day and he says he’s never been to Australia in his life. They started out on St Giles High Street in 2002 and moved into No. 20 Denmark Street in 2006. Wunjo are hardly a mail order company either. I suppose you could possibly ask them to send you an instrument in the post, but it’s not what they do usually. Out-of-town and out-of -country companies like GAK (Brighton) Anderton’s (Guildford) and Thomann.de (Germany) are genuine mail order retailers. Wunjo’s. I know Brian (from Scotland) and the comment made a year ago was based on information given prior to my having met Brian at Wunjo’s . Rents have now the possibility of being frozen through a Section 106 Clause which we negotiated without a fee for and on behalf of all of the shops in conjunction with the developers and the civil servants at Camden Council. “He also suggested the installment of cheap rehearsal space as a way of drawing genuine musicians to the area”. Um, isn’t that what Enterprise has already been doing for years behind the 12Bar? 11 cheap but very functional rooms, usually sold out with a dedicated and regular client base. Enterprise Studios will be demolished in November. But i guess you already know this. This cannot be stopped now. Denmark Place will be demolished. Camden Council’s Planning Committee sanctioned this. Every time in the U.S. they find a piece of history, although very recent, they transform it in a museum, and protect it and preserve it. Funny that Europe and U.K. do exactly the opposite. For me it shouldn’t be a matter of money and business, obviously leading to a unavoidable death of the small and not-profitable enough shops and venues. The whole area should be transformed in a museum. 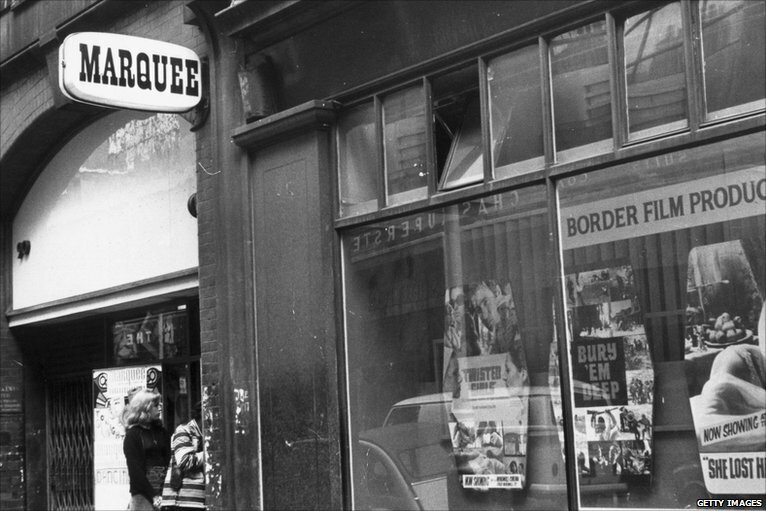 My first encounter with Denmark Street was back in about 1985 when the Forbidden Planet bookshop was there. We travelled up for the day from Portsmouth and gawped at fabulous guitars in the windows of all the music shops before buying armloads of otherwise unavailable US import fantasy books from Forbidden Planet. Changes will come. They always have, they always will. It is what London is all about. We should remember Tin Pan Alley for what it was and what it did, not what it is now. I have peeked into the 2017 Crossrail terminus buildings and seen the future. The Tokyo-isation of the area is imminent as it metamorphoses into a vast hi tech zone that recalls Ridley Scott’s movie Blade Runner as it dwarfs its Georgian neighbour Tin Pan Alley – the street of guitar shops. I met up with Laurence Kirschel of Consolidated Developments on September 17 regarding the future of Denmark Street. I viewed a hand carved wooden architect’s model of the proposed St Giles environs next to Centre Point. In addition I saw a CGI 3D video that further revealed how it might be. The central focus will be Mr Kirschel’s brainchild, ‘The Now Building’. This incorporates vast fully retractable walls that reveal the dazzling ’Outernet’ – two cinema sized screens that will be wholly interactive and web connected, selling a ‘virtual’ world to all hands free devices, taking London well and truly into the 21st century. To say that is both epic and innovative merely understates what has been devised here. Mr Kirschel assures us that this will be neither like Tokyo nor anything that anyone will have seen anywhere on the planet. He may well be right. This multi media area of modernity, however, presides like a brand new bully next to a cowering old Denmark Street, incorporating a purpose built subterranean rock venue for 800, along with apartments, pop up shops, band rehearsal spaces, and a Hotel. Meanwhile, yards away Tin Pan Alley remains filled with music instrument shops that collectively fear for their somewhat uncertain existence as further planning applications to Camden Council are all but inevitable. These plans will no doubt tweak those already passed in November 2013 so the continued development process will be a slow one until 2017. Unlike most of the multinational property developers Mr Kirschel has a background in music related properties in Soho, having overseen the move of The Marquee from Wardour Street to Charing Cross Rd from 1988 until 1996, among a portfolio of Soho notables. As the owner of virtually all of Denmark Street, he has promised that a variety of music related shops will remain in the street. Furthermore, he is fully aware of the street’s historic significance. He has to be as many of these historic buildings are the concern of organisations such as English Heritage, The Georgian Society, The Society For The Protection of Ancient Buildings, The Seven Dials Trust, and Camden Council, who are all collectively monitoring every single move that Consolidated Developments continue to make. The shops that back onto to Denmark Place on the north side will, in many instances, have their back shop areas severely curtailed. These we are told can move upwards to the first floor. This will enable new shop windows to the front and rear of these retail outlets. 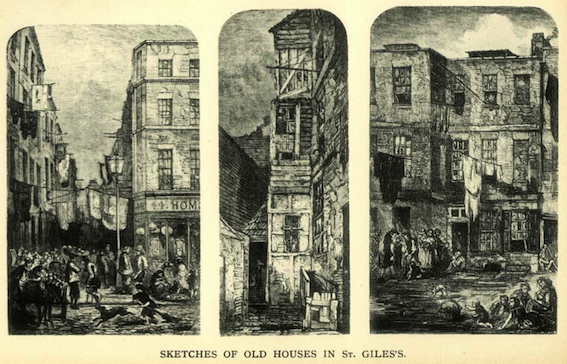 Denmark Place will be demolished in early 2015 along with the rear of St Giles High Street, leaving only the original front wall standing. Renovation work to Denmark Street we are told will actually begin on the south side in 2016. This process will move to the north side in 2017 prior to completion. We have been assured that modern day building maintenance methods will mean that the retail outlets will only have to vacate their premises for up to two weeks; an honourable promise that seems to be wholly optimistic, quite frankly. Assurances have been given by Consolidated that rents will “never reach six figures for any music retail outlet in the street, ever.” Rents are already at five figure annuals. Plans regarding Brook Mews to the rear of the south side of Denmark Street are still in the pipeline, but work here, too, seems to be inevitable. The Old Forge (c.1635) that is currently The 12 Bar Club at 27 Denmark Street will have to be underpinned to cope with Crossrail travelling directly beneath it, alongside the heavy building work that will be taking place in Denmark Place in 2015. Celebrities and rock stars with an association to the street where are you when we need you? Asides John Robb of the online magazine Louder Than War and Gary Lammin of the Bermondsey Joyriders, the only support shown thus far has been in the shape of a few tweets on twitter. Come on celebs you can do a lot better than that! He claims to want to keep the heritage of music shops, but at the same time wants a rock hall of fame – a truly terrible, naff idea which has tacky tourist tat written all over it. London is morphing into a culturally dead zone for visitors, business men and tourists, like downtown Dubai or Singapore. Money ruins places like London, whereas Paris has specific laws which retain small business and specialist shops – the very reason people go there and make it a desirable place to live. London is losing all of that thanks to property developers and lack of any planning or regulation which favours established communities and businesses. Amsterdam, Paris, and Berlin have ‘one tax’ scenario’s for small business retail. Shops should become stakeholders as they are in mainland Europe. Sadly, we don’t, but rate exemption in areas of special interest or uniqueness would be the way ahead, fully tying in with the European model.. These areas should be called Heritage Zones. I have called for this on BBC TV News and in the press. The supine response to crass high-rise development from the Mayor’s Office under the Livingstone and Johnson regimes over the last 15 years or so has allowed greedy developers to pursue their vision of Dubai-on-Thames unchecked. 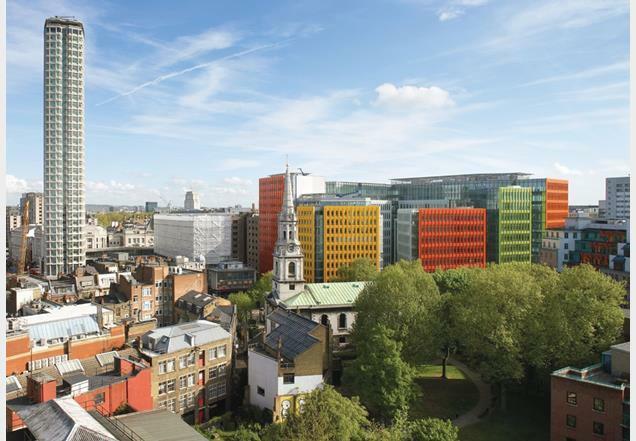 There are developers and architects committed to evolving a modern London vernacular acknowledging the legacy of the past for both commercial and residential property but they are unrecognized and unsung. City-block wide development driven by tsunamis of funding from international capital markets have overwhelmed and intimidated an increasingly threadbare planning oversight for all parts of London. How come none of these ‘historic’ buildings are NOT listed ? Pingback: The future of Denmark Street: rebirth opportunity or dystopian hell?